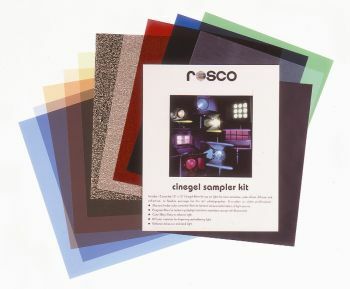 For designers whose colour requirements are more specific, we offer pre-defined packs containing 1/4 sheets of the most versatile colours. Choose from: Colour Correction, Saturated Colours, Diffusion, Cool/Warm, and Variety. 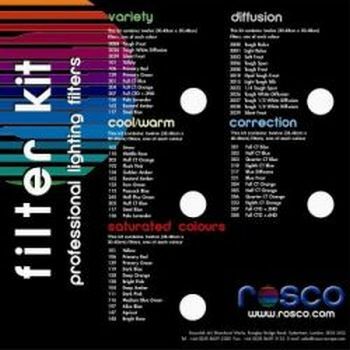 The 15 colour effects filters in this kit are the most popular selections. Included are: ambers, blues, lavenders, straw, pale gold, pale pink, magenta, red and green. Useful for product photography, backgrounds or enhancing skin tones. Available 25cm x 30cm in a durable plastic pouch.